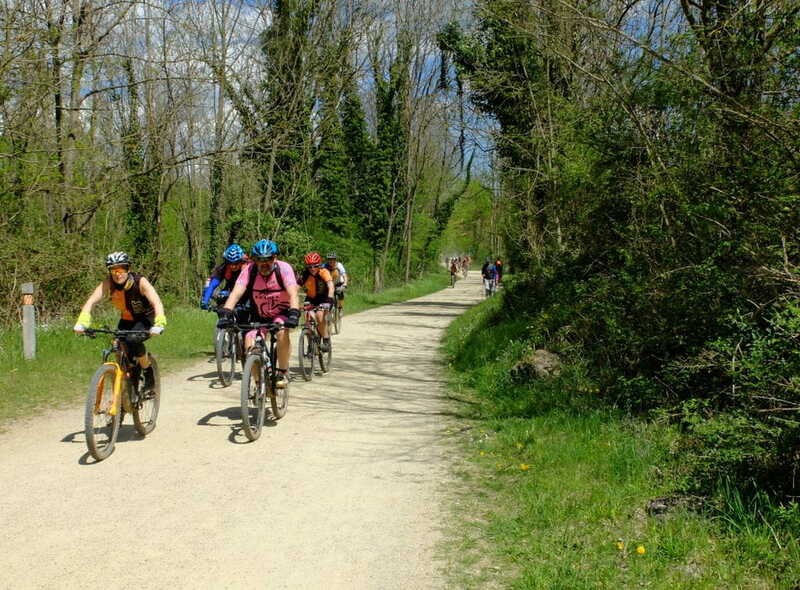 You can go home Mas Mas Violella or Mas L'Era with the mountain bike to Olot. It is an urban stretch and not recommended to do with children, as there are some sections that can be dangerous. 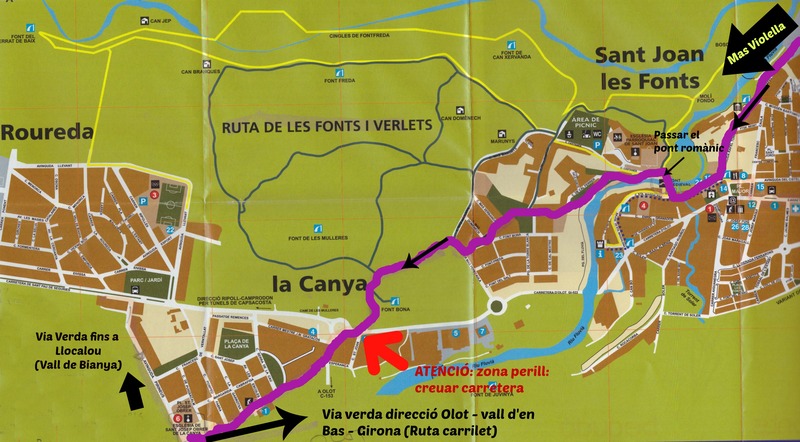 It is best to drive to the sources of Sant Roc in Olot and there start the old railroad route Green Way), direction Girona.